As early as 1814, the Peirce family advertised in Washington newspapers that it had 20,000 apple trees for sale at its farm surrounding the mill. Linnaean Hill, the nursery founded by Joshua Peirce, son of patriarch Isaac Peirce, was a major supplier of plants to landscapers in the city’s early days. The extensive orchards are gone, but in 2012, the Friends of Peirce Mill began planting new fruit trees to create a demonstration orchard. Casey Trees donated two dozen apple and pear trees and organized volunteers to plant them behind the Peirce Barn. Casey also pitched in two dozen oak, holly, and other native trees to begin the restoration of the forest area further up the slope. The National Park Service previously cleared that site of invasive shrubs and vines. The Friends of Peirce Mill will use the orchard to teach schoolchildren about horticulture and history, and the nutritional benefits of fruit as well as whole grains. 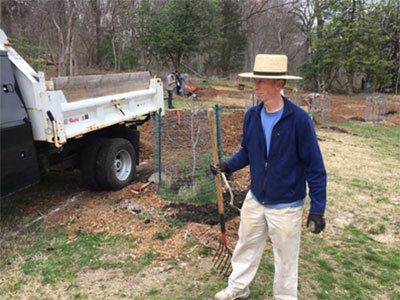 In early 2017, volunteer Tim Makepeace, a Brightwood DC resident, took charge of the orchard and has put the trees on a fast track to fruit production. Working with volunteers, he spaced the existing trees to allow more room for growth, and grafted stock of classic American cider apples. The volunteers also amended the soil and sowed cover crops to improve fertility. The Park Service contributed many truck loads of mulch ground from downed Rock Creek trees. Tim recommended that we put up a deer fence around the entire orchard (replacing the existing wire cages) to give the trees more room for branching and to prevent the deer from nibbling the tops of the trees. Volunteers from the Deloitte LLP company’s Washington offices devoted a day of service to raising the fence and other tasks. This service project was organized by a new FOPM member Julia Bernier, who also convinced the company to make a $2,500 donation for the fence and other supplies. To help underwrite this activity, Tim and the Friends of Peirce Mill have set up an appeal on the Razoo online fundraising site. 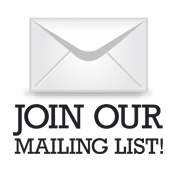 Please visit the site and make your own contribution to orchard restoration. Tim Makepeace supervising delivery of mulch at the orchard. 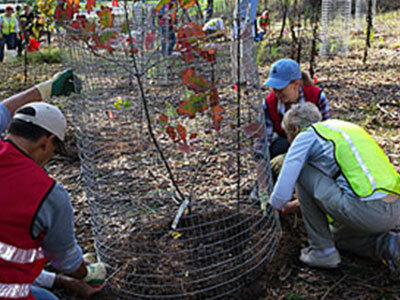 Casey Trees volunteers plant native species on the slope above the orchard. A time lapse recording of one of the volunteer days at the Orchard.